Every business needs a dynamic or a static website to spread the awareness about their business products and brand. 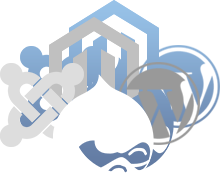 Our services at Arthisoft for the open source CMS ranges from many different categories to build websites like WordPress Development, Drupal Web Development, Joomla Web Development and Open Source Customization. We choose any of these platforms according to the requirement and the features needed in the project. We always make sure to build you the website ith maximum protection and security from malwares and all forms of virus attacks. Many different categories of website building platforms. We make sure to add a stable and secure system in your website. We have experienced team of developers who have been delivering high quality Open source CMS services with years of experience. We offer Open Source CMS development solutions which are customized to cover all the requirements of your business and within minimum time possible which helps in - reducing the cost. We also provide you the right developer whom you can hire for your project. The WordPress is an easy to use and a user friendly open source system which can provide you with a beautiful formatting and layout. We create only highly secure solutions for the web development with rich features which will result in high performance of the site. Arthisoft is a reputable and one of the leading Joomla Web Development Companies in India specialized with working on Joomla framework and development. Using the Open source customization helps in creating solutions in a very short time. The open source software customization is the best way to fit into your business necessities and plans.